The Perfect Gift for the Emoji Lovers! Enjoy a Dog's Night In with your Furry Best Friend who will receive a Bottle of WINEDOG, a Healthy Drinkable Treat, Pup Snacks and an adorable Toy! 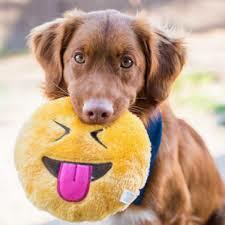 The Loving Human receives an additional 4-6 items related to loving to Emoji Humor!